A series of seven public hearings have been scheduled to allow stakeholders to weigh in on the NH Department of Environmental Services’ new draft of wetlands rules. The revised rules were released almost a year after the initial draft was release in January. 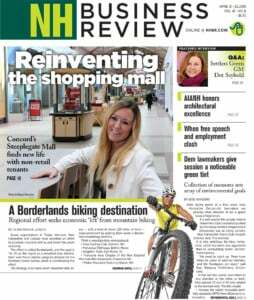 The new draft was drawn up following a nearly three-month open public comment session that included five public meetings throughout the state and close to 2,000 public comments received, NHDES said. The second draft was written up with the help of a “wetlands rules stakeholder workgroup,” made up of a range of having diverse interests in the wetlands rules, including Associated General Contractors, NH Timberland Owners Association, the Business and Industry Association of New Hampshire, The Nature Conservancy, Coastal Focus Group, NH Association of Natural Resource Scientists and the NH Stream Crossing Initiative Steering Committee, among other conservation, utility, landscapers, agriculture and aquaculture interests. The process is part of an effort to completely rewrite the state’s wetlands regulations for the first time since 1991. The agency said that under the proposed rules, more projects will be eligible for streamlined review, more projects will be eligible to be performed without a permit, and Permit-By-Notice, or PBN, and expedited review processing time will be reduced, allowing more projects to become shovel-ready sooner. The proposed rules also include a new option for a Consolidated Shoreland-Shoreline Structure application, NHDES said. This option will consolidate shoreland and wetland reviews into one – requiring only one NHDES point of contact, one plan and one NHDES permit. The proposals also includes requirements for additional vulnerability assessments for these areas. The Timberland Owners Association, one of the organizations with a strong interest in the outcome of the rulemaking process has given the new proposal mixed reviews. “It appears the NHDES heard our concerns earlier this year. • Monday, Dec. 3: NHDES Headquarters, Room 208C, 29 Hazen Drive, Concord, 2-4 p.m.
• Monday, Dec. 3: NHDES Headquarters, Room 208C, 29 Hazen Drive, Concord, 6-8 p.m.
• Tuesday, Dec. 4: Keene Parks and Recreation Center, 312 Washington St., Keene, 6-8 p.m.
• Thursday, Dec. 6: Laconia City Hall, 45 Beacon St. East, Laconia, 6:30-8:30 p.m.
• Tuesday, Dec. 11: North Country Resource Center, 629B Main St., Lancaster, 5:30-7:30 p.m.
• Thursday, Dec. 13: NHDES Pease Field Office, Room A, 222 International Drive, Suite 175, Portsmouth, 2-4 p.m.
• Thursday, Dec. 13: NHDES Pease Field Office, Room A, 222 International Drive, Suite 175, Portsmouth, 6:30-8:30 p.m.